The police on Friday said they are continuing investigation into Hotel Shilla CEO Lee Boo-jin’s propofol abuse allegations, as the clinic suspected of having supplied the controlled substance to her has refused to cooperate. Lee, daughter of Samsung Electronics Chairman Lee Kun-hee, is alleged to have habitually received IV injections of propofol at a plastic surgery clinic in Seoul. Propofol is a short-acting anesthetic that is highly addictive. Investigators from the Seoul Metropolitan Police Agency are set to carry out an onsite inspection of the clinic located in Cheongdam-dong, Seoul, to secured records. The clinic refused police request for submission of medical charts and records of drugs used and several investigators reportedly waited through the night in front of the clinic to meet its head. The clinic is reported to have said that it was unable to submit the records as there were too many reporters around. The allegations of propofol abuse by Lee Boo-jin came to light Wednesday as a local news outlet Newstapa reported an interview with a nurse’s assistant who claimed that Lee visited the clinic at least twice a month and received propofol injections at a VIP room in 2016. The assistant, who worked at the clinic from January to October in 2016, also claimed that the clinic fabricated the medical charts to conceal any records of Lee’s propofol injections. 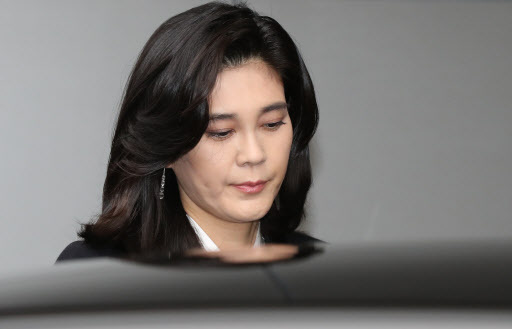 The Samsung scion admitted that she went to the clinic for treatment of a scar on her left leg but denied the allegations of propofol abuse, saying she received the injections legally, in an official statement released by Hotel Shilla on Wednesday. The police said they plan to contact the nurse’s assistant for questioning.